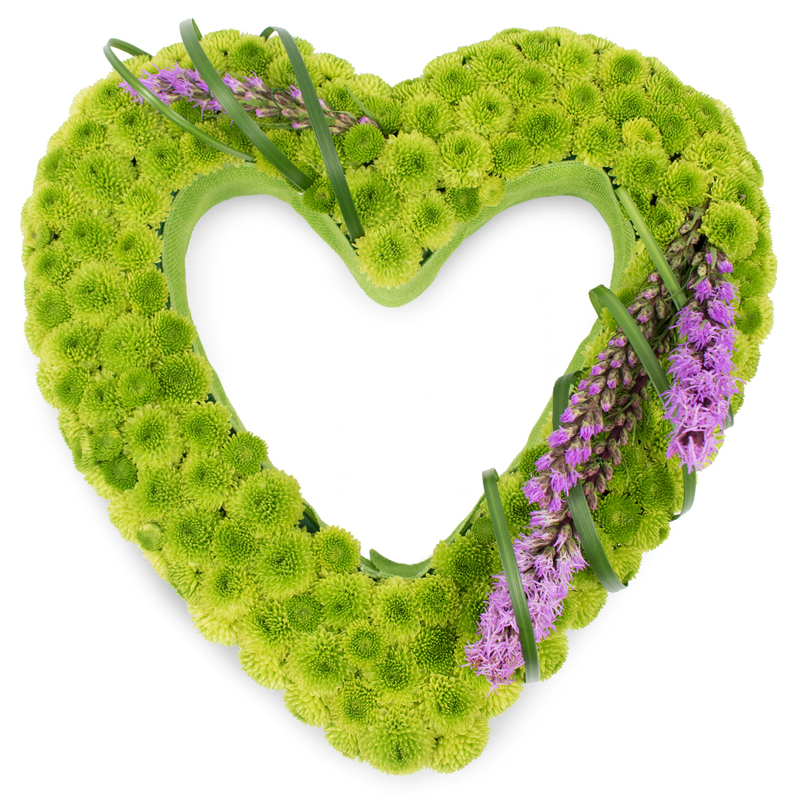 This exquisite combination of mini green chrysanthemums, liatris spicata and bear grass is a gentle way to comfort the family of the dearly departed. Send a touching message of deep love and share your pure thoughts - they will surely be appreciated. I needed to add white flowers instead of purple and the company managed to arrange everything. Thank you. This florist didn't let me down. 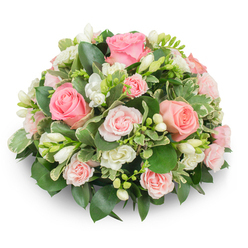 Delivered fresh flowers on time. 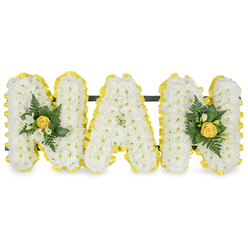 It was easy to arrange the delivery of the flowers to be made to the funeral home where the funeral would take place. 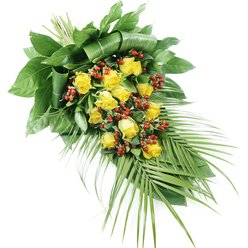 Handy Flowers confirmed the time of the delivery with the funeral directors and the flowers were delivered early in the morning. Very helpful company. Honest team and an easy communication. 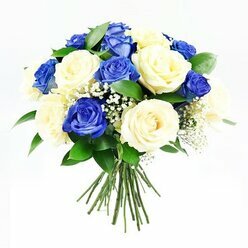 Delivered the flowers I ordered in a timely manner, without any troubles. 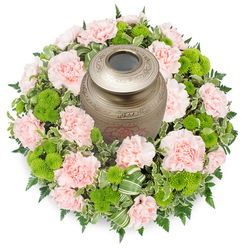 Finding a suitable tribute for my friend's funeral was far from easy... 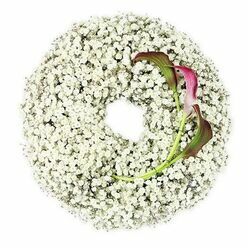 I'm glad I found out about Handy Flowers and their online flower shop. The lady I spoke with on the phone was extremely friendly. She offered me many option to suit my budget which was really impressive. Keep up the good job!